In keeping with eight years of holiday tradition, Gov. Jerry Brown issued 143 pardons this week. The display of Christmas spirit from the former Jesuit seminarian will be his last as governor of California, capping off a record-breaking eight years that make Brown the most forgiving governor in modern California history. In a closely watched case, he also ordered that physical evidence be tested in the 1983 murder case that led to Kevin Cooper to death row for the murder of four people in Chino Hills in 1983. Cooper’s attorneys have argued he was framed, and many, including New York Times columnist Nicholas Kristof, have argued that Cooper is innocent. Since 2011, Brown has pardoned 1,332 inmates, nearly four times more than the previous four governors combined. It’s also more than three times as many pardons as Brown issued during his first stint as governor between 1975 and 1983. 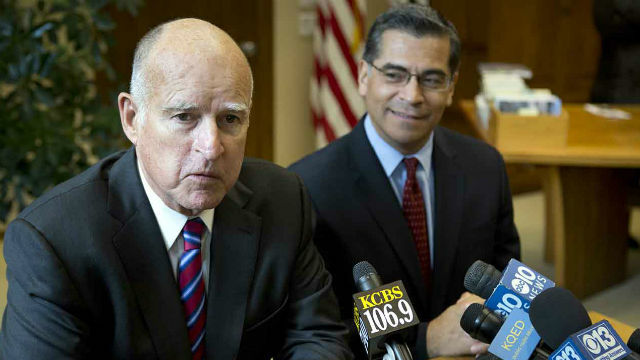 Brown’s magnanimous tendencies may be unprecedented, but they’re not out of step with common gubernatorial practice of the mid-century, when even conservative governors like Ronald Reagan restored the rights of hundreds of Californians convicted of crimes. That trend ended with Pete Wilson, who rode to the governorship on a tough-on-crime platform and persisted through Brown’s re-election in 2010. In the years since, Brown has issued over one-hundred pardons nearly every year. And in his final two years as governor, he has ramped up the number of commutations. That’s in keeping with Brown’s recent approach to criminal justice, in which he has spent the last two terms trying to reduce the state’s overcrowded prison population by reclassifying certain felonies as misdemeanors and diverting felons from prison to other, less-punitive institutions. In many cases, those revisions to the criminal code rollback policies that were introduced when Brown was governor in the late 1970s and early 80s. In just this year alone, Brown has pardoned 273 people, restoring the right to serve on a jury, operate certain businesses and own a gun to those who served time in some cases decades ago. The majority of pardons were issued to those who were sentenced for drug-related offenses. Former Superintendent of Public Instruction Bill Honig, who was convicted of violating state conflict of interest laws in 1993. Roderick Wright, a former Democratic state senator who was convicted of lying about his legal residence when running for office. The pardon also clears Wright of a prior charge. In response to a petition from the First Amendment Coalition, the California Supreme Court ordered the Brown administration to publish all records related to the pardon decision by Jan. 2. At least 15 immigrants to the United States who are facing the prospect of deportation, including three refugees from Vietnam and seven from Cambodia. Felony convictions are often used as the legal basis to issue a deportation order. Brown also issued 246 commutations this year, reducing sentences for those still in prison—in some cases making them available for parole immediately. The majority of commutations were issued to those who received lengthy sentences for murder or attempted murder. Missing among the names in his last scheduled announcement of commutations: Napoleon Brown, brother of San Francisco Mayor London Breed, convicted of killing his girlfriend. The mayor had asked the governor to release him, saying his 44-year sentence was excessive, and that he had turned his life around. Quintin Orrin Morris, a 53-year-old who has been in prison since the early 1990s for attempted murder, despite the fact that someone else confessed to the crime after his conviction. Morris is one of 12 inmates who are clients of the California Innocence Project, a non-profit that provides legal services to those who plausibly maintain their innocence of a crime. Shawn Khalifa, who was sentenced to 25 years to life in prison under a California criminal law that allows prosecutors to charge anyone who participated in a crime resulting in someone’s death with murder, even if they didn’t commit the killing. Kahlifa was the subject of New York Times articleon the state’s “felony murder rule,” which state legislators did away with earlier this year. Walter “Earlonne” Woods, the co-producer of the Ear Hustle podcast which is broadcast out of San Quintin State Prison. Alfredo Perez Jr. who was released from prison in 2013 after having his sentence reduced, only to be put back this year when the Supreme Court ruled that he had been released improperly. David Maurice Smith, who defrauded a dozen people out of $16,000 in order to pay for drugs and was sentenced to 250 years in prison. Brown also commuted the sentence of Ardell Adams Jr., a convicted murderer. Both Smith and Adams are now suffering from terminal cancer. The California Supreme Court denied one of the governor’s clemency requests this week. This is the seventh such denial issued from the court this year.